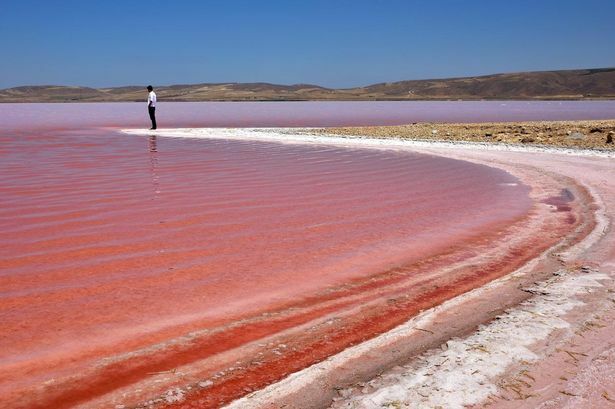 Tuz Golu, is a large, saline lake that sits outside the town of Aksaray in central Turkey. Four days ago, it turned blood red. And I will shew wonders in heaven above, and signs in the earth beneath; blood, and fire, and vapour of smoke -Acts 2:19 (KJV). These birth pangs are foretold in Scripture. For a full analysis, please read here.